Learn about the difference between pre- and probiotics, and fermented foods. 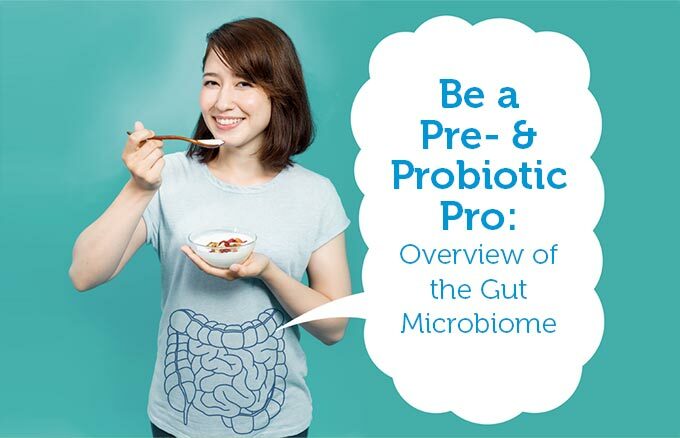 Understand the impact of probiotics on health and how to advise your clients seeking to support their gut microbiota. Join us for a complimentary webinar, including 1 FREE continuing education credit, to obtain an overview of the gut microbiome. This webinar has been approved for 1 continuing education credit by the following organizations: Commission on Dietetic Registration for the Academy of Nutrition and Dietetics (CDR), the American College of Sports Medicine (ACSM), Certifying Board of Dietary Managers (CBDM) and the American Council on Exercise (ACE). Don't forget to visit www.bellinstitute.com to be among the first to know when there are new nutrition education resources, coupons, free product samples, scientific research, free continuing education credits and more.